Facebook Inc. is to hire 800 new staff in London, expanding its U.K. headquarters despite coming under increasing scrutiny from the country’s lawmakers. The new hires -- predominately in engineering roles and to be recruited over the next year -- will bring the number of staff working for Facebook in the U.K. to 2,300. The social media company will also offer space in its new office to U.K.-based startups as part of an accelerator program, the company said Monday. Facebook’s expansion comes at a time when Britain is so alarmed by the extent and scale of Russian interference in U.K. politics via social media networks that its lawmakers are getting ready to interrogate Silicon Valley giants -- including Facebook and Twitter Inc. -- in Washington. Facebook joins a number of large tech companies doubling down on their presence in London, despite the ongoing uncertainty about the U.K.’s pending exit from the European Union. "It’s a sign of confidence in our country that innovative companies like Facebook invest here," U.K. Chancellor Philip Hammond said in a statement. 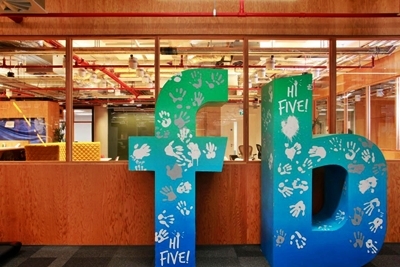 London will be Facebook’s largest engineering hub outside the U.S., according to the statement. The U.K. is currently lobbying hard for tech talent. The government plans to double the number of visas available to highly skilled workers, including technology-savvy candidates. Facebook, Snap Inc. and Google all announced plans to increase hiring in the U.K., while Apple Inc. is leasing about 500,000 square-feet of office space at Battersea Power Station on the south bank of London’s River Thames. Among European countries, the U.K. was the most pessimistic about the future of the European technology industry, according to a report last week from London-based venture capital firm Atomico, with 18 percent of respondents -- which included thousands of founders and investors -- saying they were less optimistic than they were a year earlier. Over the last 12 months, it’s also become harder for British startups to raise new funding, according to 32 percent of founders questioned.